Most gardeners and landscapers expect an established landscape to last for many years. Homeowners, commercial sites and parks usually spend a great deal of time and money to design and establish a well orchestrated blend of trees, shrubs, turfgrasses and groundcovers for the creation of a pleasing environment for all to enjoy. However, the best laid plans often go awry. Landscapes can fail due to a variety of reasons. Insect and disease pressures can stress plants to the point of failure, especially poorly selected species and non-native plants more prone to pest damage. Poorly designed landscapes can fail if plants and turfgrasses are not placed in a favorable growing environment for that species. Most importantly, the proper location must have the required amount of sunlight, adequate soil moisture, adequate drainage and proper soil fertility. Environmental extremes such as floods, droughts, freezes and extreme wind conditions can also destroy a landscape. No matter what the cause, once a landscape has deteriorated to a point where it no longer provides the wanted benefit, it needs to be renovated. Renovating a landscape can be a huge project, especially if the site encompasses a large area. Before the shovels begin moving plants and soil, decide if you need to completely redesign the landscape or if you only need to add, move or replace certain plants. 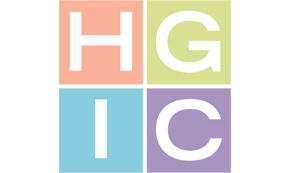 See HGIC 1703, Low-Maintenance Landscape Ideas for ways to reduce the amount of care a landscape will require. Once you have decided on the extent of your renovation, take some time, talk to experts, do some research, have your soil and plant samples analyzed and determine why the landscape failed. If problems exist within the site such as drainage or soil problems, failure to correct these could mean another renovation sooner than you would like. The next step in the renovation process is to choose between doing the work yourself, hiring a contractor to complete the project or a combination. If you are attempting to renovate the landscape yourself, be sure you have the tools and knowledge necessary to adequately perform the task at hand. This will include: time needed to move or remove existing plants, disposal of old plant material, reshaping the land if needed (large equipment may be needed for this), designing the new landscape, selecting the proper plant material, and plant installation. Another factor to consider is the time of year you want to accomplish the project. The fall and winter months are good times to move and add plants to the landscape. The dormant season allows the root system to become better established before the stresses of summer arrive. However, the weather can be marginal during this time of year and may delay any timelines set. Another benefit to an off-season renovation is the availability of contractors. The winter months are usually downtimes for these professionals, and they are more willing to take on new jobs as compared to the active growing seasons. Although spring and summer renovations are possible, there may be less professional help available. To insure success during busy times, arrange for professional help in advance. If you have hired a contractor to renovate your landscape, be sure you have agreed on timelines and the specific duties that the contractor will perform. Many will do a turnkey project from start to finish. Other contractors may not have the necessary equipment or knowledge to complete the project to your satisfaction. It is important that you and your landscaper have agreed on all steps in the project and who has what responsibility. It would be wise to get all this important information in writing to avoid any confusion later. Smaller landscape renovation jobs can certainly be accomplished by the individual homeowner with proper planning and implementation. Before starting with any shovels or saws, start with pencil and paper and construct a rough draft of the site. Obtain a layout of your site including the property lines. Draw in any hard structures that exist including the house, deck, swimming pool, patio, garage and walkways. To best place plants on your drawing in relation to the hard structures, it will be important to draw this to scale. It will also help to include environmental notes such as directions, soil types, problem areas, native areas, prevalent wind directions, shady areas and any drainage problems. At this time, you will want to contact your local utility companies to find and mark any electric, water, phone, cable and possible sewer lines depending on the extent of your reconstruction. This will help you avoid cutting any of these lines during construction. In South Carolina, contact Palmetto Utility Protection Service, Inc. (PUPS) several days before the digging is to take place. You can reach PUPS via a toll-free number at 1-888-721-7877. Next, survey the landscape and mark down on your plot plan any existing plant- or design-related problems. Plant-related problems can include poor growth, few flowers or need for excessive maintenance. Design-related problems could include plants located where they block windows or doors, hide house identifiers, crowd utility boxes or cause visual problems or hazards. Take notes on the plants in the landscape, their names and condition. You may be able to save some plants and move them into a more desirable location. Label them as good, marginal or poor. If a plant is in good condition you may be able to incorporate it into your new design in its existing spot or move it to a new location. A marginal plant may be saved by pruning or possibly moving it to a less prominent location to help it recover. It can then be incorporated into the new design at a later date once it has recovered. You can also compare the cost of replacing a marginal plant or keeping it. If it is cheaper to keep it, allow time and space for its recovery. Poor plants should be noted and marked for removal. Plants that are severely diseased or insect damaged should also be considered for removal. Once you have completed your drawing of the existing landscape with plants marked for moving or removal, you can begin the new design process. On scaled paper, again draw in all hard structures to scale as you did on your first rough draft. 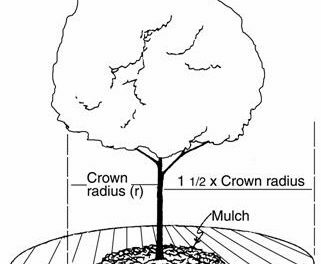 Include on this drawing any areas that will need soil work such as soil removal, addition of amendments, creation of raised beds or drainage improvements. Place existing plants that are to remain in place on your plot plan. You can now start to incorporate the plants you want in your landscape on your plot plan. When selecting new plants, it is important to know their mature heights and widths as well as their preferred growing environment. Placing plants in the landscape that are not adapted to the site will result in poor growth and possible failure of the plant. Placing plants that will soon outgrow their planting site will result in added maintenance such as increased pruning needs. Many plant lists are available that will outline native and naturalized plants adapted to your area such as HGIC 1716, Plants for Shade; HGIC 1717, Plants That Tolerate Drought; HGIC 1718, Plants for Damp or Wet Areas; and EIIS/BB-2, Butterfly Gardening. Poorly drained areas: These areas need to be addressed before planting by improving the drainage or by utilizing plants that can handle damp or wet conditions. Excessively dry or well drained areas: During periods of drought, plants in these areas can suffer unless adequate moisture can be provided. Utility boxes: Most landscapes will have some form of utility boxes on site. Be cautious when planting plants around these areas and be sure you do not hamper service by utility companies. They can and will remove or prune plants that are a hindrance to their maintenance. Traffic flow: Landscapes should be designed to allow people to move through the landscape with ease. Place plants to allow for good traffic flow. Energy efficiency: Plants can be used to help reduce energy costs. Place trees and shrubs where they will shade structures during the summer but allow sunlight to filter through during the winter to help warm structures. Hazardous areas: Do not place plants where they could become a hazard once they reach their mature heights and widths. This could include areas around street corners where the view of oncoming traffic could be hampered. 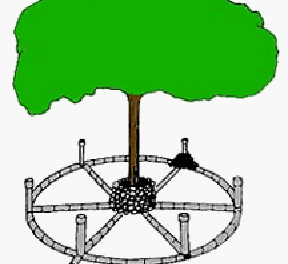 Irrigation system: If no irrigation system exists and you are planning to add one, be sure it is designed properly and can handle the watering needs of your new design. The system should be designed to separate different areas that require different water needs such as ornamental beds and turfgrass areas. If one is already present, try to save as much of the existing system as you can to reduce cost. Redesign the system to incorporate your new plantings and make the system as water efficient as possible. With your final plan in hand, you can start to acquire your planting material. This would also be a good time to have your soil tested. See HGIC 1652, Soil Testing for instructions on how to properly do this. The complete landscape does not need to be planted at one time. Depending on time and money, the landscape can be phased in over several years. You will want to start with the largest plant material first: trees followed by shrubs and finally groundcovers and perennials. If you have any plant material that will not be planted until a later date, be sure to keep this uninstalled plant material well watered. When you are ready to begin your landscape renovation, complete all your drainage work and irrigation modifications first. These items will probably require the movement of soil as well as trenching activities and you will not want to disturb your new plants once they have been planted. Drainage repairs may involve the addition of underground drain tiles in low, flat areas where surface drainage does not occur. Ideally, the landscape should be graded so the majority of surface water is directed to swales or rain gardens that will hold the water until it can naturally soak into the ground. Be cautious however when re-grading or adding soil to the landscape as this can disrupt the flow of water and can create wet areas. Be sure to protect any existing trees within the landscape to avoid weakening those plants by construction damage (see HGIC 1002, Protecting Trees During Construction). Once you have completed grading and irrigation activities, you can start to relocate plants you have marked to be moved. This will open up those areas for new plants. See HGIC 1055, Transplanting Established Trees & Shrubs for information on safely transplanting trees and shrubs. Complete your permanent plantings first to avoid damage as new plants and beds are added. Turfgrass areas can be planted once the irrigation system has been installed and the final grading done. As your work progresses, be sure to follow recommended practices for proper planting and plant establishment. Many plant failures can be attributed to poor planting practices and inadequate watering during establishment. See HGIC 1001, Planting Trees; HGIC 1052, Planting Shrubs Correctly; HGIC 1000, Fertilizing Trees & Shrubs; and HGIC 1056, Watering Trees & Shrubs for further information. Above all, learn from any mistakes you make along the way and correct your horticultural techniques as needed.